Kenexa delivers talent management solutions across the entire employee lifecycle that are backed by behavioral science insight and the unique combination of content, technology and services. Where other companies focus on just one piece, we bring them all together to create the best picture for each company’s success. IBM announced three new cloud-based predictive HR services, all of which include consultative engagements from Kenexa workforce scientists. IBM Kenexa Predictive Hiring helps to model high-impact roles such as sales associates in retail, brokers and advisors in finance, researchers in the pharmaceutical industry, or production line workers in manufacturing. 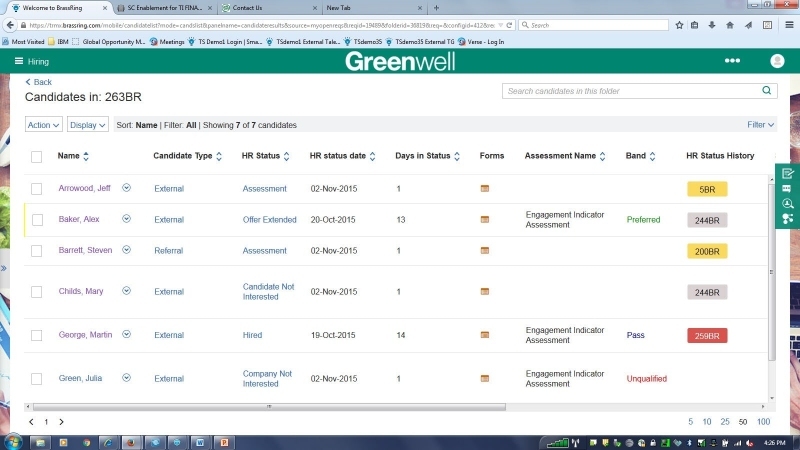 Then the system tests for those skills by creating assessments that are embedded into the cloud-based recruitment platform. IBM Kenexa Workforce Readiness assesses the skills that organizations have in place and then predicts the crucial job families required for a customer-driven organization geared to emerging market conditions. IBM Kenexa Predictive Retention has three components. First, it offers senior HR leaders a predictive understanding of the people who are at risk of leaving. With the rollout of a new Talent and Change consulting practice, IBM also introduced four consulting services aimed at companies in transition. Last week IBM acquired (for $ 1.3 billion) the SaaS talent management system Kenexa. After all, all software giants are now buying SaaS talent management systems (Salesforce acquired Rypple, SAP acquired SuccessFactors, Oracle acquired Taleo). Therefore, IBM management thought that it's a good decision. Moreover, Kenexa is not just a SaaS talent management system, it's the Social SaaS talent management system (it allows to use Twitter and Facebook for attracting talents and building relationships with them). And all Social is very appreciated in our days. 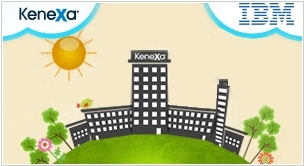 Even despite of the fact that since 2007 Kenexa has posted losses totaling about $150 million. (It's very interesting, how it can be loss-making, having 8.900 customers, including Starbucks, Walmart, Verizon). By the way, it appears that IBM is now the Social Enterprise market leader due to its SmartCloud for Social Business suite. At least this is stated by the respected analytical firm IDC. So it outpaces Salesforce, despite of all its social efforts. Last week Marc Benioff even tried to register "Social Enterprise" as his trademark, but this attept had no success.